Sunshine State Sarah: Does Emperor Romney Have No Clothes? For months, we've been hearing that Mitt Romney is the "presumptive Republican nominee." He's the permanent frontrunner, the "inevitable" candidate, the polished professional running a machine-like campaign. Each stumble by any other candidate has been viewed as bequeathing benefits to Romney, further forging his armor as the almighty invincible candidate. But is Romney really invincible? Is his selection as the Republican nominee for President really inevitable? Or does Emperor Romney have no clothes? 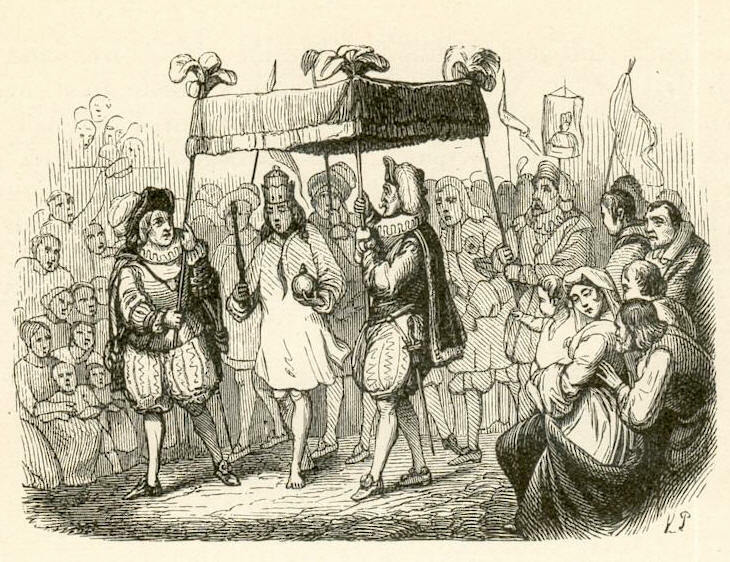 If you recall the famous Hans Christian Andersen tale, the Emperor parades through the town in a new suit of clothes which are supposedly made out of a magical fabric that is invisible to those who are stupid, incompetent, or unfit for their positions. The townspeople make a great effort to all proclaim how attractive and fine the Emperor's new clothes are, until a child, too young and naïve to know any better, cries out, "But he isn't wearing anything at all!" Isn't that similar to what we've been doing with the Romney campaign? We're all told how lovely and fine the Emperor's clothes are professional and well-organized the Romney campaign is. "Experts" tell us that he has the nomination all but wrapped up. Case in point: Jennifer Rubin at the Washington Post, who in a post last week dismissed conservative support for Newt Gingrich as "silliness on stilts" and in the next paragraph wrote off Herman Cain's campaign as a "now-fading mass delusion." But is Romney's campaign really so perfect? More to the point, is he really such a perfect candidate? Don't get me wrong: I want to make Barack Obama a one-term president, and that's the number one goal. So I am not going to turn a deaf ear to discussions of general election viability. But, again, is Mitt Romney really such a strong candidate? I think I am starting to see some transparency in the fabric of Emperor Romney's clothes. For one thing, he's lost more elections than he's won (Ran for the Massachusetts Senate seat in 1994, lost; ran for Massachusetts Governor in 2002, won; declined to run for reelection; ran for President in 2008, lost). Henry Louis Gomez has written a great post on this topic at Babalú Blog. There's the fact that Romney's place in the polls - both nationally and on a state-by-state basis - has been almost completely stagnant. While a large percentage of the Republican electorate is still undecided, the wild shifts have been from one "Not-Romney" to another. Romney just simply does not have an enthusiastic base of supporters who are working to win him new converts like Cain, Gingrich, and Perry do. Then there's the odd habit that the Romney campaign has of trumpeting "pending" or "imminent" endorsements that never seem to materialize. Just last month, Romney's consultants were furiously pushing a story that Senator Jim DeMint would be endorsing Romney. Not only was it complete nonsense, the hubris of the move so annoyed DeMint's people that his official spokesman called the story a "fabrication," and the head of DeMint's Senate Conservatives Fund said that DeMint was "looking to see who wins over the grassroots, and so far Governor Romney has not done that." I am NOT endorsing ANYONE in the primary...Nothing of the sort - the 'source' is an uninformed total idiot. Quote me. ...Where do people make stuff like this out of the thing air? ...Plain and simple. Someone has more time than brains on his hands. See Jake Tapper's tweets regarding this email here, here, and here. "Sources indicate" - anyone else wonder if that was more meddling by overzealous Romney staffers? Now, the latest blow to The Mythology of Mitt Romney comes this morning from New Hampshire. Romney has heavily invested his time and money in the Granite State, courting voters, Republican leadership, and the newspapers. 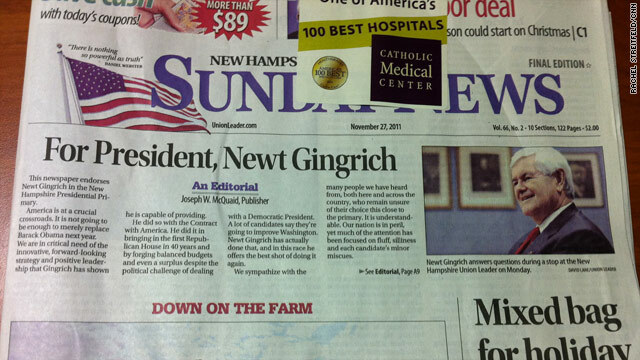 This newspaper endorses Newt Gingrich in the NW presidential primary...America is at a crucial crossroads. It is not going to be enough to merely replace Barack Obama next year. We are in critical need of the innovative forward-looking strategy and positive leadership that Gingrich has shown he is capable of providing. In the Fox News article I linked above, they go so far as to say that "[t]he endorsement suggests Gingrich has the potential to beat Romney in the New Hampshire primary. This 'first in the nation' primary is considered to be a must-win for Romney." So, is it possible that Mitt Romney's nomination really isn't that inevitable? I find myself feeling like that child, watching a man with no clothes parade down the street while everyone around me proclaims how wonderful his garments are. Call me young, call me naïve, but from where I stand, the Emperor has no clothes, and Mitt Romney's nomination is not as inevitable as he would like us to believe. UPDATE II: Here's more of the text of the endorsement (the Union Leader article is behind a firewall), from Maggie Haberman at POLITICO, who notes that this endorsement is "the most significant and impactful endorsement in the GOP race so far, and solidifies Gingrich's standing as the alternative to Romney as the race heads into the final pre-Iowa caucuses stretch:"
America is at a crucial crossroads. It is not going to be enough to merely replace Barack Obama next year. Readers of the Union Leader and Sunday News know that we don’t back candidates based on popularity polls or big-shot backers. 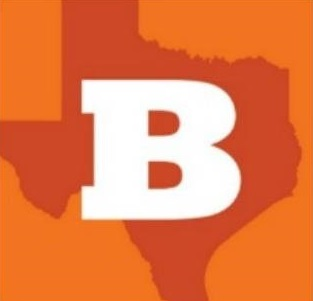 We look for conservatives of courage and conviction who are independent-minded, grounded in their core beliefs about this nation and its people, and best equipped for the job. We don’t have to agree with them on every issue. We would rather back someone with whom we may sometimes disagree than one who tells us what he thinks we want to hear. Newt Gingrich is by no means the perfect candidate. But Republican primary voters too often make the mistake of preferring an unattainable ideal to the best candidate who is actually running. this has been a very helpful, and enlightening, view of Romney. I have never really been comfortable with the idea of him as our candidate but this article helped me sort out more of the specifics. I'm not yet 100% convinced Gingrich is our man, but he's definitely better than Romney. Jen Rubin has a crush on Willard Mitt Romney; I take anything she says about anyone he's running against in the primary with a grain of salt. Romney is dull as the proverbial dishwater. Gotta do better. Newt is far better. Really, Sarah, does anyone care what the newspapers say? Rick Scott not only got no endorsements from any Florida paper, he refused to even talk to any. And look how much all those endorsements helped Alex Sink. The fact remains that New Englanders have little interest in southern Republicans, whether their name is Perry, Gingrich or DeMint. If you are going to focus on something, focus on South Carolina and Florida where the real decisions will occur. And remember The Cain is still a bit ahead in South Carolina. The reason that the Union Leader endorsement matters is because it's actually a conservative paper, and yes, it does carry weight with NH Republicans. Finally, as much as it annoys me that Iowa and NH have such a huge influence over the elections every time, the reality is that they DO have a huge influence. Pretty biased overview...who got Kelly Ayottes endorsement in NH? Who got John Sununu? Who got Judd Greggs? Would not even handed coverage make note of this as well as the MU endorsement? Cain is done. The fight is now between the 2 competent candidates...Newt & Mitt. Newt= Competence+ Serial Adulter+ Fined for Ethics Violations + Admitted lying to House Ehtics committee. In this conservatives' mind,character counts in a President. Ron Paul is the only one fit for the job. Anybody else will lead us to financial ruin. No mention of Ron Paul, Sarah? You have zero credibility. Anonymous - I don't mention Ron Paul because in my mind HE has zero credibility. this has been a very helpful, and enlightening, view of Romney!